Referred to as a "Modern Day Renaissance Woman" by the media, and industry alike Denise Vasquez is Busting Out & Standing UP! Sharing passion thru heART, she is an artist who creates because it is a part of her being. Born & raised in New York City Denise has been on an adventure, traveling the world and sharing her journey through her art while living in Scotland, London, the US Virgin Islands & now California. Her talents run the gamut from being a comedian host & producer at WO+MEN 4 APPLAUSE™ Comedy Shows to being an Award Winning writer, activist, artist, author, poet, singer/guitarist/ASCAP performing songwriter & publisher, a SAG-AFTRA actress, Promotions specialist, Designer, activist & Founder of WO+MEN 4 A CAUSE™ and so much more. Denise has a passion for utilizing her skills to help make a difference in a positive light using her words, knowledge & art. Since 1999, Denise has been Volunteering her time and sharing information to help bring awareness to many causes. To date Denise has produced, hosted & performed in 10 Festivals (in the U.S. Virgin Islands, Los Angeles, and Arizona), which has brought together many communities, causes, businesses & tons of talent. 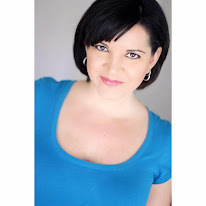 As an Actress & Stand-Up Comedian Denise has been part of the live performance scene doing Improv, Sketch Comedy, Acting, Dance, Music, Theater in New York City, US Virgin Islands & now Los Angeles for over 20 years! Denise first took the stage at the age of 4 with Ms. Dorothy's Dance School, and from the moment she stepped on stage, she was in her happy place, felt connected to her creative spirit & knew she was home! Denise continued writing, performing, dancing, acting, singing & music throughout elementary school, junior High school & College. Denise got her first taste of performing Comedy in the 90's when Denise began training & performing Improv with Joy Newman in the "The Grown Up's Playground" at The New York Comedy Club, Improv with The Nat Turner Revue, and Sketch Comedy with Eva Tenuto & Ramona Richardson in The W.E.T. Girls (Women's Experimental Theater Group) at colleges & at The CSV Cultural Center in NYC (Clemete Soto Velez Cultural & Educational Center) catching the eye of Talent Coordinators like Ryan Shiraki (Saturday Night Live), landing Denise some bit parts on shows like SNL, "House Of Buggin"with John Leguizamo, and MTV’s "You Wrote It You Watch It" with Jon Stewart. As a Host, Denise Vasquez has been speaking on panels, doing demo presentations and hosting events, both live & on camera since 1999. 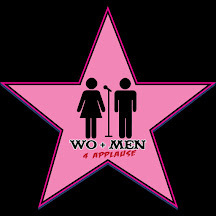 Denise Vasquez proudly Presents & Hosts her WO+MEN 4 APPLAUSE™ Comedy Shows featuring WOMEN+MEN=WO+MEN shining stars bring the light sharing applause! Denise Vasquez also Presented, Hosted & Promoted Music Mondays Open Mic night weekly where a variety of talent (singers, songwriters, musicians, comedians, poets, rappers & more!) had the opportunity to shine in the spotlight in one of LA's premiere performance venues! Over the years Denise has hosted "Ladies Night Music Festivals I-VI" (St. John, US Virgin Islands), "Social Butterfly Night I & II" (Hollywood, CA), WO+MEN 4 A CAUSE (Various events at Various Locations), "VH1 Save The Music" at Hard Rock Cafe in Hollywood, "Acoustic Wednesdays " & Bingo Night at El Guapo Cantina & more. Denise has also been an invited guest to moderate, speak and perform on panels showcasing her knowledge, talents, and specialties including: Organizing & Moderating "Tricks Of The Trade" Panel at San Diego Comic Con & Stan Lee's Comikaze Expo, Demonstrating painting techniques on MTV and at Holbein USA during San Diego Comic Con, One on One Live Streamed "How To Session" At San Diego Comic Con on "Being A Professional Artist", "The Art Of Self Promotion" panels at Shevacon (Virginia), DragonCon (Atlanta), Demoing & Performing for Daisy Rock Guitars at The NAMM Show (Anaheim), Demoing and performing for Audix Microphones at The NAMM Show (Anaheim), panels about "Sketch Card Mania" book and more! Other events include: JediCon (Germany), Comicpalooza (Texas), Chicagoland Entertainment Collectors Expo (Chicago). As a writer Denise began writing monologues, shorts, poetry, plays & songs covering important topics & issues at an early age. 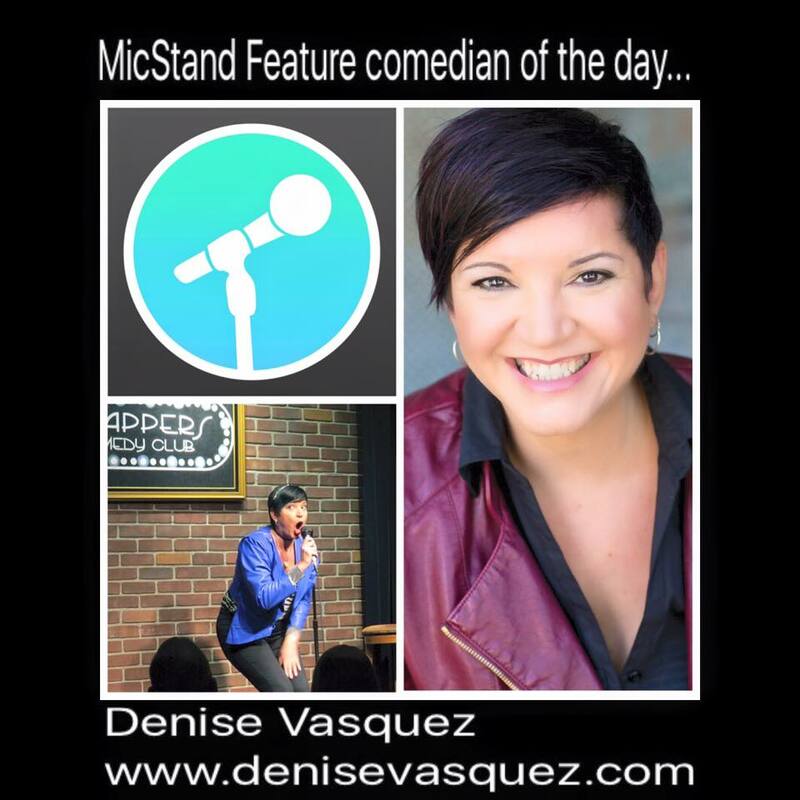 Denise is currently writing her own stand up comedy jokes and is a comedy writer at The Spoof. Over the years she wrote a Comedic PSA Rap called "Just Say No" & a skit titled "Stereotype This", wrote a monologue called “The Broken Bottle” about alcoholism, wrote a poem called “The Washcloth” about abuse, “Man” about the homeless, “I Am America” about neglect and her poem “What Is Love” about self love, WON her the Editors Choice Award from the International Library Of Poetry & they published it in a compilation book of poetry called “Dancing In Light”. Denise wrote & performed in a play about female gangs & bullies called “Sisterhood” which was selected to be presented at a festival at the St. John School Of The Arts in the Virgin Islands. Denise's play & performance received rave reviews from the press! July 2016 marked 6 years for Denise writing for the Examiner.com as their “LA Cultural Events Examiner” doing interviews writing articles about arts, culture, people and events. Over the years Denise has created thousands of Official Sketch Cards for numerous Trading card sets including: The Walking Dead Comic Trading Cards Set 2 for Cryptozoic Entertainment, The Art Hustle Series 3, Topps Trading Cards (Star Wars, Mars Attacks, Clone Wars, Terminator Salvation, Indiana Jones), Official Pix (Star Wars), Breygent Marketing (Woodstock), Sadlittles (Femforce, Dreamers Of Darkness, Rantz Angels), and 5 Finity Productions (Zombies Vs. Cheerleaders, Archie Comics). Creating all of these sketch cards led Denise to coming up with the concept & Co-Authoring “Sketch Card Mania” (Impact Books/F&W Media) with Randy Martinez. “Sketch Card Mania is a DIY “How to” art book offering how to draw art lessons, showcases a wonderful variety of styles & artists in each medium, demonstrations on how to make your own personal Sketch Cards, and advice & tips from industry on how to promote yourself, and how to find work in the industry. One of Denise’s biggest honors as a writer was being invited to be THE FIRST guest blogger on Stan Lee’s sites! As a musical artist, Denise has been Recognized by The Recording Academy & Grammys, was Nominated for 5 Mavric Music Awards, LA Music Awards, is a 5 time winner of the ASCAP PLUS Performing Songwriter Award, has been selected by Music Connection Magazine for 6 consecutive years to be on their HOT 100 Unsigned Artist List, and was selected to be a Featured Artist in Westlake Audio Studio's Artist Development Program. Denise has been featured live on 99.3 FM, 106.7 FM, KPFK Arts In Review, 88.5 FM Tied To The Tracks and more! Denise has performed in some of the most legendary venues around the world including: Lestats (San Diego), The Cavern Club (Home of the Beatles in Liverpool), The Dublin Castle (Camden, UK), Coffe Evolution (Hudderfield, yorkshire), Under The Boardwalk (Sheffield), JediCon in Germany, The NAMM Show (Anaheim), The Bitter End (NYC), The Duplex (NYC), 55 Bar (NYC), The Burren (MA), The El Rey Theater (LA), The Roxy (LA), Harvelles (LA), Knitting Factory (LA), Zoeys Cafe (Ventura), The Hard Rock Cafe (CA), Borders Bookstores (Many locations around Southern California), The Gig (LA), The Key Club (LA), The Cat Club (LA), The Joint (LA), The Mint (LA), Chick Singer Night (LA), Room 5 (LA), Monsoon Cafe (LA), Molly Malones (LA), Genghis Cohen (LA), Kulaks Woodshed (LA), MBar (LA), The Coconut Teaszer & Crooked Bar (LA), Highland Grounds (LA), Tangier (LA), The Derby Mainstage (LA), Ladies Night Festivals/WO+MEN4 A CAUSE Festivals (USVI, LA, AZ), Peace Fest (USVI), Tillet Gardens (USVI), The Westin Resort (USVI), Caneel Bay Resort (USVI), & lots more! She has self produced & published 3 albums: "Frame Of Mind", "Live In One Take", and "Fighting Darkness" (Social Butterfly Music), wrote the music, lyrics, sang & played guitar on all of her albums. 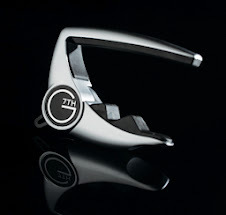 Denise proudly endorses & loves working with Audix Microphones & G7th Capo. As an artist & Designer, Denise’s love for creating all things geek have become widely known in the Star Wars Universe & beyond. Denise has created her own original characters over the years (Glowing Skull Art & Designs, Zombie Girl, DJ, El Diablo, Skull Angel, Dead Dog, Pepper The Dragon & Friends, Wizzy The Owl, Busy Bee …), but Denise is best known for designing the Day of The Dead style Aturito for Sideshow Collectibles R2ME2 Project as well as for her Day of the Dead style Vader T-shirt & Boba Fett Tank Top for “Her Universe” & Hot Topic. Many might recognize some of the popular 3D art Denise has designed & created including: her “GLOW IN THE DARK FRANKENVADER Helmet that she WON 1ST place for in Halloweencostumes.com Vader Helmet Contest, her GLOW IN THE DARK Star Wars meets Dia De Los Muertos Vader Helmet & vinyl dolls for the “Art From A Galaxy Far Far Away” Gallery show and her AVATAR TROOPER Helmet for the 501st Legion TK Helmet Project auctioned for Make-A-Wish during Star Wars Celebration V. All of the work Denise has designed & created over the years has gained her a lot of attention worldwide. Denise has received a lot of press & her art has been featured in the media on: Reuters, BBC, CNN.com, Wired, Huffington Post Arts, Slashfilm, MTV Geek, HerUniverse.com, HotTopic.com, StarWars.com, MTV.com, Nerdist News, Patron Of The Arts, Stan Lee’s Websites, The Mary Sue, io9, Edge On The Net, Music Connection Magazine, Arts Avenue, Geek Shirts HQ, Daily Trojan, Comic Attack, Forcecast, Theforce.Net, Galacticbinder, MintinBox.net, ToysREvil, Angry Koala Gear, Following The Nerd, Poparitaville, Girl Gamer, Geek With Curves & more! Since 2007, Denise has customized a number of recognizable vinyl toys for companies, private commissions & celebrities including the Stan Lee Custom Vinyl munny dolls, one of which not only sits on Stan Lee’s mantle, it is featured in Morgan Spurlocks’ Book “Comic Con Episode IV: A Fan’s Hope” on page 89 with Stan Lee. MTV Geek invited Denise to paint a celebrity during San Diego Comic Con 2012, so she chose to paint custom vinyl munny dolls of Anthony Bourdain. Two of her Conan O’Brien custom vinyl munny Dolls (Conan O’Brien & His Horny Teddy & The Glow in the Dark Flaming C”) are featured in Conan O’Brien’s “COCO MOCA” Museum Of Conan Art on Team Coco’s website. Denise designed & created the “Steve Sansweet” Mighty Mugg for Lucasfilms’ “The Empire Muggs Back project, which now happily resides in the Rancho Obi Wan Art Gallery with other Star Wars art by Denise & many other amazing artists. Denise’s custom vinyl toys have also been displayed & on consignment at Kidrobot LA, and she has also created custom vinyl toys for many clients including: Comedian Donnell Rawlings, Whoopi Goldberg, DKE Toys/Adfunture (Yoka Tour), Angry Koala Gear, 3Coconutmonkey, Bean Pot Toiz, Vinyl Thoughts 2, Hold Up Art Gallery, Chuck Jones Gallery & more! Denise proudly endorses & loves working with Holbein USA, Sakura USA, Kidrobot LA, & Prismacolor.